Facebook just made it easier to watch videos wherever you want by adding support for streaming to Apple TV. 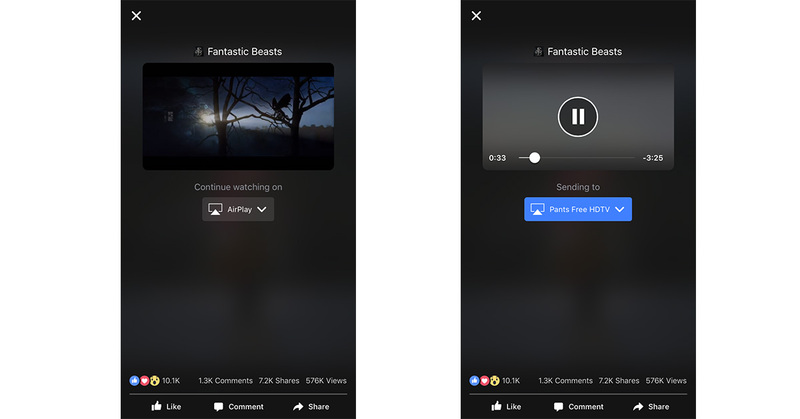 The change means you can use AirPlay to watch Facebook videos on your television while continuing to scroll through posts in the Facebook iOS app, or on the Facebook website. Video comments will show up on your TV, too, which means you can keep on top of what everyone is thinks during the next Presidential debate—assuming you’re into streaming that from Facebook. You’ll need to download the latest Facebook app update on your iPhone or iPad to stream videos to your Apple TV.